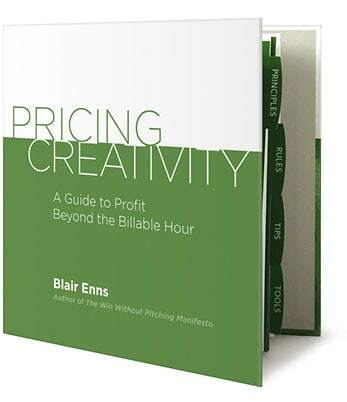 The new book from Win Without Pitching founder Blair Enns is destined to change the way creative firms charge, and the money they make. Available in multiple formats, each backed by a complete money-back guarantee. 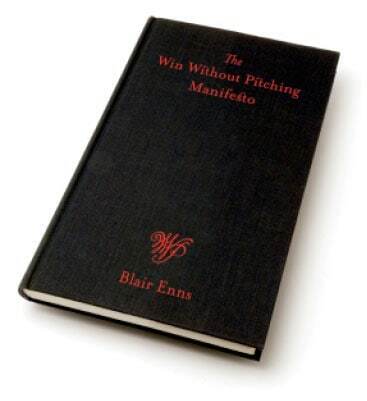 Learn The 12 Proclamations of a Win Without Pitching firm and move from a firm that behaves like a vendor to one that operates from the expert practitioner position.